twentytoo: Where do you see this genre headed? Is there room for innovation? 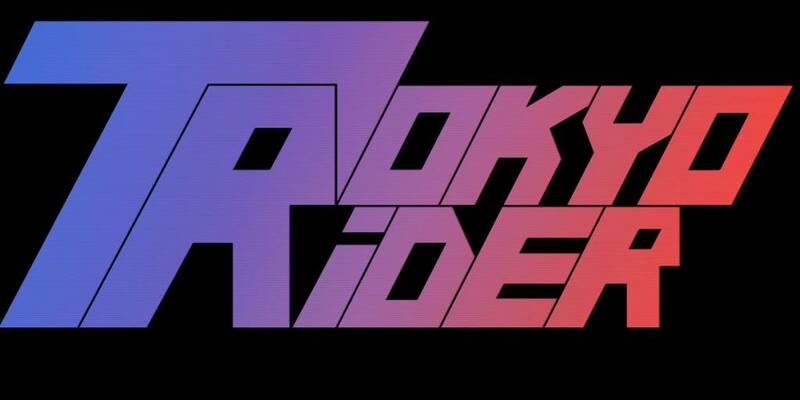 Tokyo Rider: To be honest, I’m a bit bitter about the direction the scene has taken. I’m not a big fan of dark-synth, I prefer something more melodic – like Miami Nights, Mitch Murder or Robert Parker. Today, I think, many producers are somewhat stuck with giallo and John Carpenter stuff. I can understand them (after all, the biggest names are more or less dark-synth ones), but I can’t stop feeling that if this keeps on going, outrun might end up as the next sea-punk. Cheyvan: Hi! your new LP is really cool. How do you achieve that Lo-Fi sound in the track Enter Omegashima? Specially the drums. Do you use reverb and saturation? If so, what plug-ins? Also, what DAW (Digital Audio Workstation) do you use? I use FL Studio, and I use a lot of effects from MDE-X from Korg Legacy Collection. The Lo-Fi sound comes mostly from slight detuning binded to LFO, if I remember correctly, and, yeah, lots of reverb. And bus compression. Never use bus compression. Don’t be like Tokyo Rider. Cheyvan: when did you start making electronic music in general? Tokyo Rider: Don’t remember if I was 13 or 14 years old at the time. The tunes I made then were extremely awkward – simple beats and multiple layers of trancey synths. Anyway, during most of my teens I was more interested in playing 80s style guitar, so all of this wasn’t too serious. And, wow, Tokyo Rider appears to be 3 years old. I wrote my first track, Running Wild, in April 2013, if I remember correctly. knuckztve: Given the chance, would you move your production workflow from software to hardware where applicable? For example, having an actual LinnDrum machine instead of samples/emulation. Or would that be too much of a hassle? I understand that software production has the benefit of flexibility unavailable to vintage equipment, but some producers swear by hardware anyway. Tokyo Rider: I would like to use more hardware as, huh, currently I use none. However, I’m quite comfy with my samples, so actually using a vintage drum machine is not that important for me. I would still like to own a LinnDrum or a TR-707 just, you know, as a thing from the age I love. I would like, however, to include live guitar solos in my tracks. Probably live synth solos, though, again, I’m quite comfortable with automations. knuckztve: What’s your favorite synth, if any? Not necessarily one you used, could be anything you consider the coolest. Tokyo Rider: Juno-106, I guess. Also, I would like to grab a DX100 for using with a talkbox for some funkier stuff. knuckztve: Since you mentioned the DX100, what type of synthesis do you prefer? FM or additive/subtractive? Tokyo Rider: I stick to vanilla subtractive stuff, and FM sounds I use are mainly presets with minor tweaks. I can’t say that I prefer any of those to each other or to, say, samples, but for most of the tasks subtractive VSTs do the job. Cheyvan: Given your name and aesthetics, I’ve seen you like a lot Tokyo and Japanese stuff (so do I, btw, I have a future funk song called “東京高速道路” which means “Tokyo Highway”) Anyway, how do you make your designs? I mean logo, EP/LP covers, etc. Do you pay a designer or do you think you can google some images and do some photoshop on them and that’s it? LemonkV: Do you like chocolate waffles? Waffles der chocolat? Ay-na-ne-na-ne wafli? Tokyo Rider: Cacao kletochka. Sure!